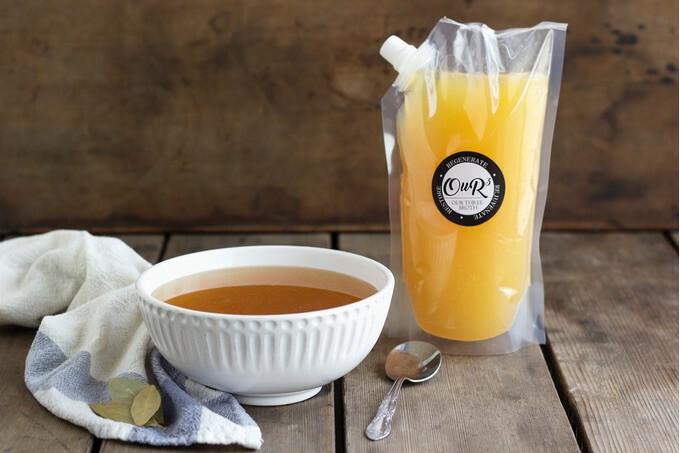 We have created this nutrient dense pasture-raised chicken bone broth (10g protein per cup). Featuring, stewing hens from Seven Sons Farms, chicken backs & feet from Hawkins Family Farm & Gunthorp Family Farm. Our 3 Chicken Bone Broth is made from 100% local, pasture-raised stewing hens, chicken backs, and chicken feet along with organic vegetables to ensure the most nutrient-dense and delicious broth available. These ingredients, combined with filtered water, are simmered for over 30 hours to release all the restorative nourishment found within the bones. Whether it’s for cooking or health benefits, this fortified broth will soon become a staple in your everyday life. We are beyond excited for you to incorporate this into your life! Our3 Broth is based out of Fort Wayne Indiana. Established in 2018, I am a certified executive chef. Our company is focused on real food, healing people! Our connection with farmers (Seven Sons, Hawkins Family Farm and Gunthorp Family Farms) really brings the true meaning of farm to (spoon) in this case. We feature pasture raised chicken, beef, pork broth. Also, several salad dressings and BBQ sauces. Everything we make is from scratch and made with quality ingredients. You can find our broth at either www.jcfoodandwellness.com or www.sevensons.net. Professor Torbert’s Orange Corn Grits now available on Amazon!